My really great movies list in no particular order. "Proof" hones in on the emotional relationships in the play. With Rebecca Miller jointly credited with David Auburn on adapting his play, this is less coy about who did what to whom when in reality or delusion than it is about connections between people. The flashbacks cut effectively back and forth and smooth out where each character is coming from. "Catherine," the daughter of a brilliant mathematician who is somewhat modeled on John Nash's struggles with madness which were portrayed in "A Beautiful Mind," is still the focal point of attention. But with the other characters fleshed out more Gwyneth Paltrow has more to naturalistically react to than the stage actresses (I saw it on Broadway with a mercurial Anne Heche). Paltrow brings unexpected fragility to the role and makes her sarcastic accusations to her sister come out of personal pain and not just spitefulness. You really see that she is emotionally ravaged from putting her life and mind on hold for a father with a very strong personality. Anthony Hopkins is unusually paternal as the father and you understand her attractions and fear of him, as well as why the sister had to flee how insecure she felt there, as Hope Davis manages to breathe some life into a strident character. We see very clearly the demands of being a caregiver to a legend. Unlike in "Iris" at the end of careers, we do ache at the sacrifices the young caregiver has made and how this claustrophobic existence has led to her own crippling doubts about her work, her life and her sanity. 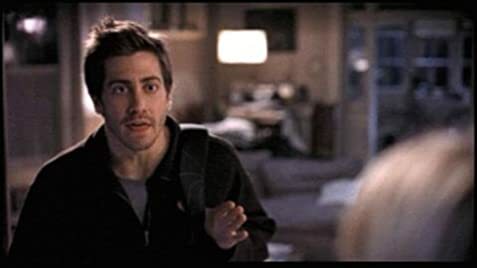 Jake Gyllenhaal is the hunkiest, most adorable, rock 'n' rollin' math graduate student since Matt Damon in "Good Will Hunting" and could help increase math enrollments around the country. But as irresistible as he is, and their relationship is literally more believably fleshed out as young people than in the play, we also can share Paltrow's suspicion of him. But we see more of his activities, as the film opens up the play, so we too clearly know before she that he has regained in our credibility as he seeks his proof. 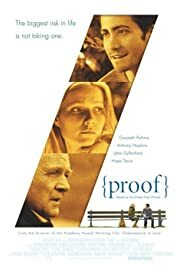 I don't mind that the film adds to the romantic aspects and drawn out coda as I thought the play tempted unfulfillingly in that direction and it is a means to help her regain the multiple meanings of proof -- as evidence, as trust, as confidence. Director John Madden keeps the camera moving actively during long dialog interchanges, reflecting "Catherine"s agitated state of mind. The house and academic setting well establish the atmosphere, particularly when there's more people around, though some of the outdoor shots seemed like filler. The score is occasionally intrusive, but the concluding voice-over is even more annoying and unnecessary.